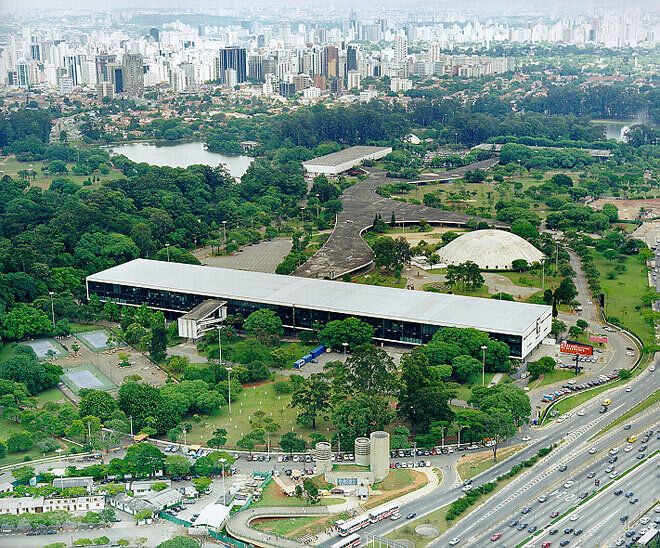 Since the 4th edition in 1957, the São Paulo Biennial takes place at the Pavilhão Ciccillo Matarazzo in the Parque do Ibirapuera. The pavilion was designed by a team lead by Oscar Niemeyer and Hélio Uchôa, and named after Francisco (Ciccillo) Matarazzo Sobrinho (1898-1977), the Biennial's founder. The three-storey building provides an exhibition space of 30,000 sqm.